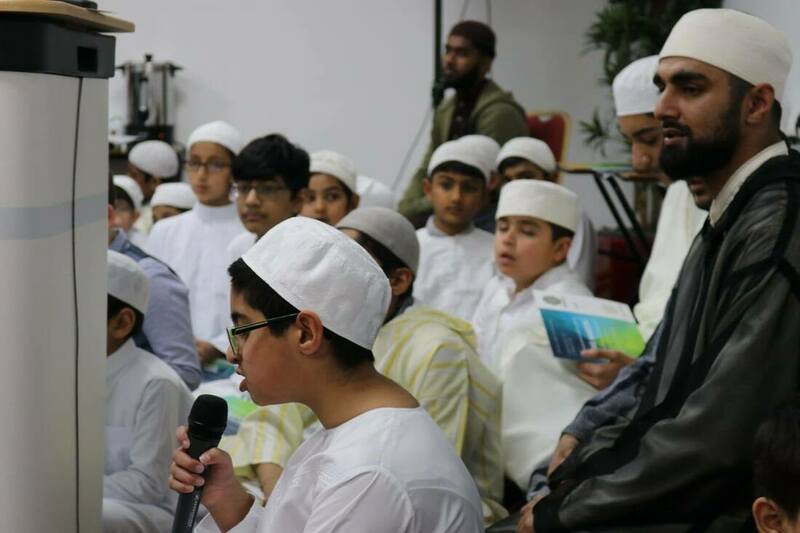 THE ‘INSHAD TRAINING FOR CHILDREN’ COURSE IS AN INTRODUCTORY EDUCATIONAL PROGRAMME DEVELOPED SPECIFICALLY FOR ASPIRING SINGERS WHOM WISH TO LEARN THE SCIENCE OF INSHAD. Inshad is the traditional art of Islamic singing which focuses on leading people to Allah and His Prophet ﷺ through devotional poetry and odes that are performed with pacing, tempo, and tonality. During the 6-week course beginners course, students will learn some of the most famous Islamic nasheeds; grasping their prose, metering, and English meaning. The 10-week intermediate course builds on these foundations and also teaches the children how to play the daff. Perfect for all levels of students, participants will be acquainted with the basic elements of inshad. Thus, providing a pathway to more advance studies in the fields of maqams (melodies), transitions (between odes), and tafrid (solos). Course material will be provided, which includes the poems (in English, Arabic, and Urdu). Taught by Brother Basam Aksar a vocalist from the world renowned nasheed group The Travellers - Al Musafirun. Brother Basam has studied and benefitted from leading masters of Inshad in Morocco, including Ustadh Sidi Muhammad Bennis and Abd al-Fatah Bennis. Originally from Manchester Brother Basam continues to propagate and revive the art of traditional Islamic inshad in the West, whilst also leading weekly gatherings of dhikr and mawalid. Please note: the course fee covers six classes over six weeks. Please note: there are a number of pre-requisites for the intermediate class please get in touch if you would like to enquire. The course fee includes course booklets, a daff for each student and the tuition cost for the ten classes over ten weeks.